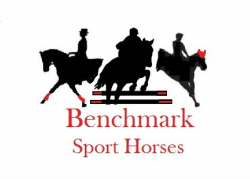 What times do you have available to show horses: I do have help with the riding and showing of horses so we have appointment times during the week and weekends available. What is your sales policy: I operate on a first come first serve basis to appropriate qualified homes. I do my absolute best not to pick favorites and honor the first come policy. Essentially what that means is that I do not hold horses. Horses are available until they are paid for or until a vetting is actually set. If vetting is actually set up then I will HOLD the horse. However, I will continue to show the horse until the vetting is complete and payment is made. There are many reasons that people may pass on a horse during a vetting and another customer may be perfectly happy with the results of the said vetting. It is also common that people back out of vettings or simply change their mind before a vetting. Until a vetting has been set, the horse is available to be sold. That does mean a horse may be sold to someone who buys the horse sight unseen before your appointment to come and see it. I will always let you know before you make a drive out to my farm if a horse is sold. I do my best to notify everyone right away that a horse is sold. I realize it can be frustrating to have a horse sold that you wanted to come and see but many of mine do sell to buyers who are comfortable with the buying sight unseen process. IF you have any questions please let me know. I like to say that there are always more horses and if I sell one you are interested in then I will do my best to find you another one! What payment methods do you accept: I take paypal, venmo, cashiers check and wire. Personal checks on a limited basis and must clear before horses leave. Do you have a list of vets in your area: I am in Delaware and they aren't as many vet practices as in larger areas but I do have a list of vets and you are welcome to have your own vet come if they are in the area where they can travel to me. All the vets do digital xrays. Most are very comfortable vetting for customers who can't be present for the vettings. They typically will do the flexions, lunging, etc and then call to discuss the results before proceeding to anything else. Do you ship or have a list of shippers: We do ship within a 3-4 hour range. I have many shipping contacts and can also help you get shipping set up. I have many horses that ship long distances. I will hold the horses for a week at no cost while shipping is arranged.